It is awindy hill station located near to Thekkady. Wind blows at a speed around 35 km per hour at Ramakkalmedu throughout the year irrespective of the season. 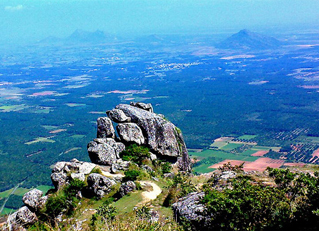 You can see the views of Tamilnadu from the top of this hill station.It is believed that that lord ‘Sree Rama’ had set his foot on this rock and hence the name of this place.